Francesco Loi graduated with honours at the Conservatoire of Cagliari with Salvatore Saddi and carries on his studies with Massimo Mercelli. First price with distinction at the “Conservatoire de Musique” of Geneva in the classroom of Maxence Larrieu. 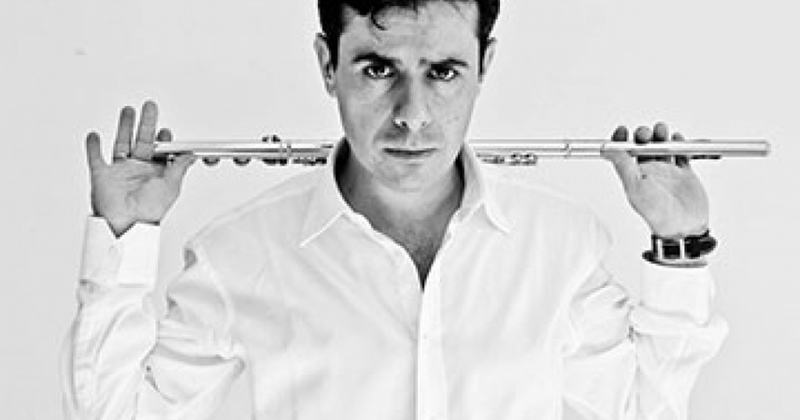 Winner of the international contest for principal solo flutist in the Orchestra of the “Teatro Carlo Felice “of Genoa he was invited to play the same role in the Orchestra of the “Teatro alla Scala”of Milan, in the Philharmonic Orchestra of the “Teatro alla Scala”of Milan, in the National Symphonic Orchestra of Santa Cecilia in Rome, Orchestra “Maggio Musicale Fiorentino “, the Orchestra “Mozart”and the Orchestra of the “Teatro Comunale “of Bologna. In September 2010 he held a master class in Tokyo for Muramatsu in the prestigious Senzoku University. He holds an annual specialization course in Genoa.